Disclosure: We visited GranMonte at the invitation of the owners who provided us with food, wine, lodging, and an awesome time. 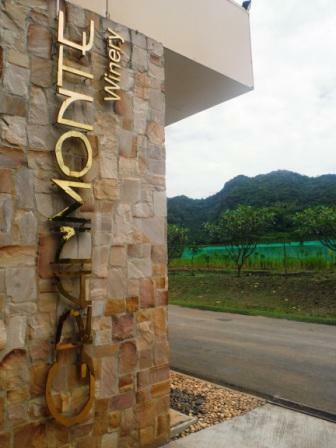 Let me give you some background on the winery: GranMonte was founded in 1999 by Visooth Lohitnavy and his wife Sakuna. It started on approximately 12 acres, and now has reached a size of about 36 acres. The family opened a state of the art wine making facility in 2009 which has a maximum capacity of 120,000 bottles, although currently it produces around 90,000 bottles a year. GranMonte currently makes wines from Cabernet Sauvignon, Chenin blanc, Syrah, Viognier, Semillon, Verdelho, and Durif grapes. The winemaker is Nikki Lohitnavy, Sakuna and Visooth’s daughter, who grew up on the property and decided at a young age that she wanted to get into wine making. 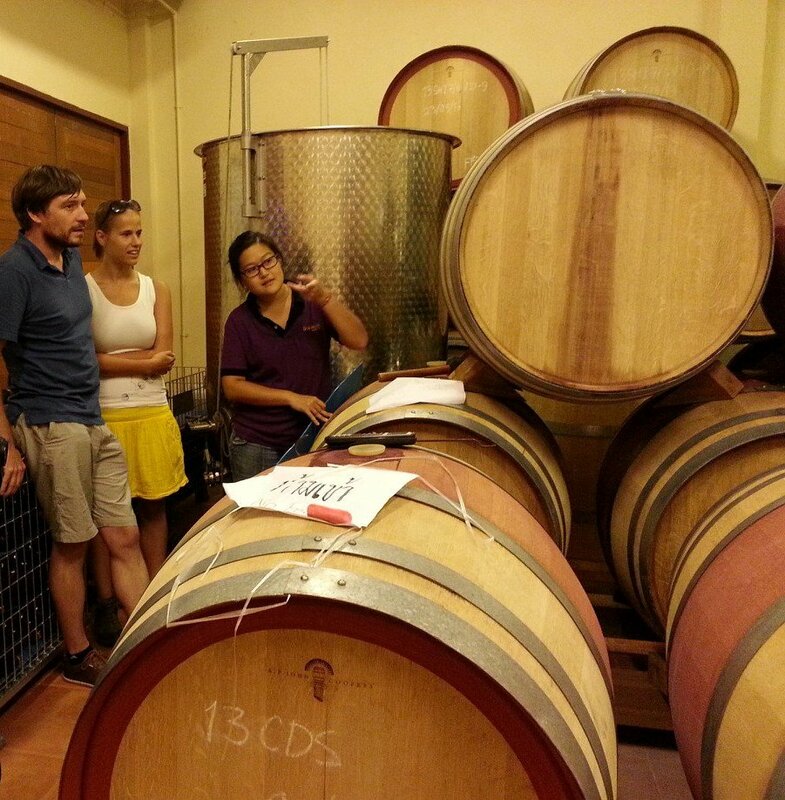 She studied at winemaking at the University of Adelaide, Australia, and is Thailand’s only female oenologist to date. For her young age, she has a ton of experience including harvesting and making wine in France, Brazil, and Portugal. She is full of energy and passion, entertaining and adventurous. We were glad to spend a considerable amount of time with her. It never ceases to amaze me how much passion these young winemakers bring to their job, and in that she reminded me a lot of some of the young winemakers I was fortunate to meet along the Mosel and in Rheinhessen. But Nikki seems even more impressive to me, because she was not born into a wine culture like most of the winemakers I know. So she does not have that background that many can rely on, and still is doing an outstanding job. 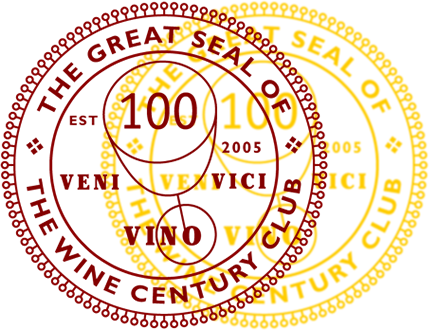 It’s impossible not to notice how much detail goes into everything: The staff at the winery’s tasting room is courteous and knowledgeable, the wait staff at the winery’s exquisite restaurant Vin Cotto just as attentive and hospitable. Every dish we tried was very well executed (I had an outstanding coq au vin, just to name one dish!). What struck us the most during our dinner with our hosts was how food compatible the wines were. An example that stood out was the 2012 Heritage Syrah, one of their top line wines. We drank this wine with steaks that came with spicy oils: a more medium spicy Thai dip, and an insanely spicy tip with Brazilian chili peppers. My mouth BURNED! And yet, the Heritage Syrah was cutting through it like it was nothing. That was a stunning experience. The wines we were able to try were good to very good, and impressed us quite a bit. There is a lot of craft and skill going into them, and I can only see them get better as Nikki keeps experimenting and learning. I will write up some of my tasting notes in an extra post. All in all, we had a great experience at GranMonte. It is a perfect place to kick back and relax, enjoy some great Thai wine, and very good Western food. I assume it is not on many people’s bucket list, but the natural beauty of Khao Yai National Park can definitely be an attraction off the beaten path. 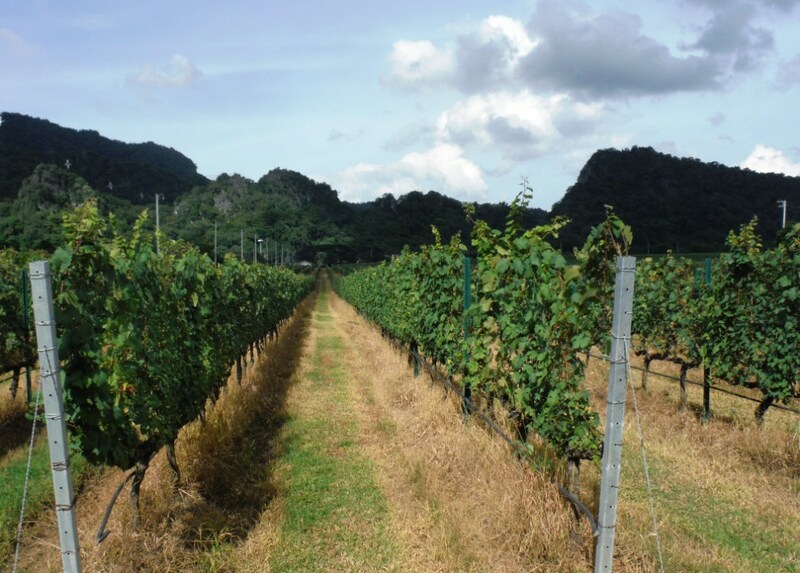 Thailand, it turns out, is not just for beaches, but has joined the growing universe of wine production. And quite impressively so. I hope you can make a trip there and see, but more importantly, taste for yourself what they have to offer. You can reach GranMonte, which is around 160 kilometers north east of Bangkok, via a taxi, bus, or mini-bus. I recommend getting in touch with the winery first, they can present you with good options on how to get there. We took the mini-bus and it was comfortable and cheap. GranMonte also has a gorgeous guesthouse overlooking the vineyards. You can find GranMonte’s contact information here. Interesting post. I haven’t realized that Thailand also produce the wine. I believe the tropical climate is good for the grape growing. Do they has large wine supply? I notice that in napa valley, the space were too crowded to plant more grapes. And did their wine can be easily get in USA? Thank you for sharing your experiences about the wine. I love leanered a lot from it! 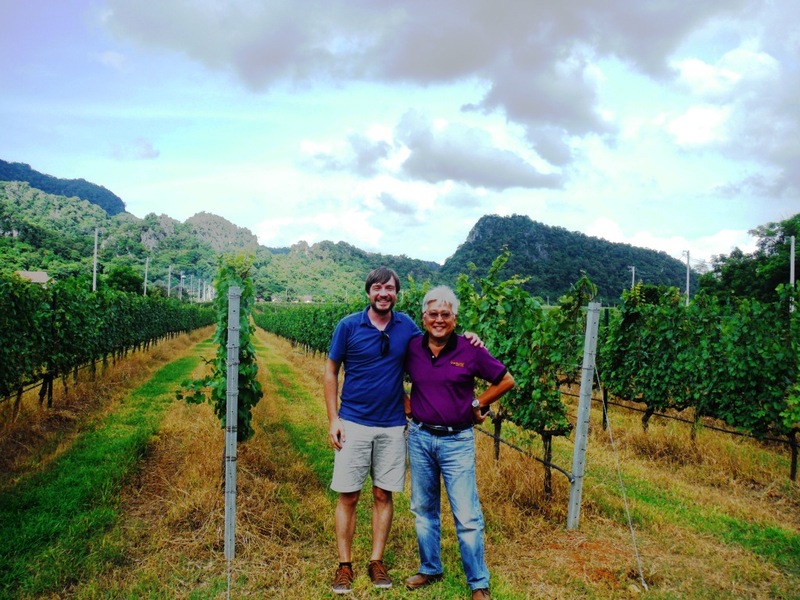 Thanks for very encouraging article for us here at GranMonte and open up to your friends about wine making in country like Thailand. Koh Samui & The Monkey. You are correct. That’s the restaurant that the owner imported our wines into USA. I’ll send you his contact address today. BTW, it’s 5am here and we will start our first day of this year harvest in less than 2 hrs. What a great experience. I saw their video in the Wine Spectator contest a few years ago. I still haven’t tried their wine, so I’m anxiously awaiting your tasting notes. Wine is the last thing I think of when I think of Thailand. So glad you shared this story. Now I’m itching to get on yet another edible quest! I know, it was the same for me! Apparently, there is one restaurant in San Francisco that carries some of their wines. I will dig into that for the wine reviews I plan on publishing soon. Oh, I would LOVE to know which one. We have wine-loving friends visiting in a few weeks and I am looking for a new place to go. Watching with baited breath…. How great it is that we get to be boss of our own blogs, and don’t have to conform to an editor’s word-count limits. I like your conversational style. I understand why editors have their requirements; the writing trick is to be able to fit them when necessary, and still be free to write in our own distinctive voice when we want to. Thanks, Tracy! I knew I wanted to write up my experiences in my “proper” conversational style, and I am glad you enjoyed it! When I was in Thailand I enjoyed the south with the beaches and islands etc, but it was the north that I loved more. 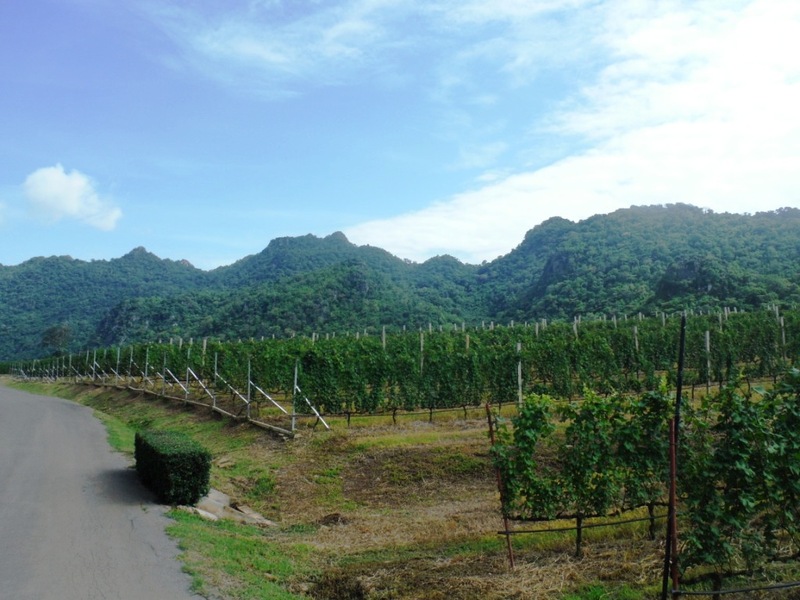 I tried a Thai wine when I was there too, I can’t remember for the life of me what it was called though – I wonder if it was from this vineyard? Well, I also liked the North a lot, but I have to say that once I made it to Northern Laos, that made Northern Thailand pale in comparison. Just stunning there. Glad you got to try some local produce while there!!! Yeah, unexpected, and therefore even more fun! It does get cooler in the North, and the vineyards are nicely sheltered by the hills surrounding the property, so it’s actually not as difficult as one could imagine. Thanks so much!! I just love hanging out with winemakers. Something special about them.